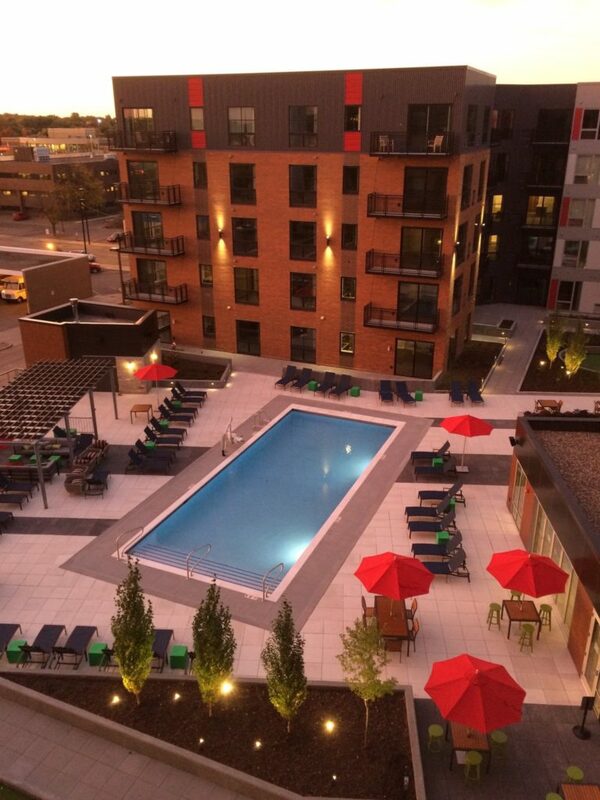 The Moline is a project centered in the heart of historic downtown Hopkins. The Architect was challenged to add an outdoor amenity deck to satisfy the new residences. 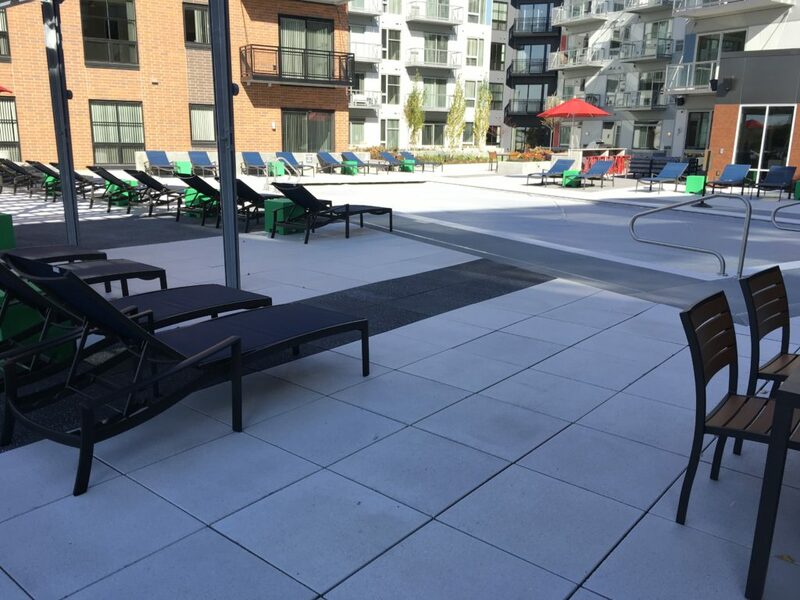 The amenity deck includes a putting green, grill station and bar, firepit, bocce ball court, a pool, and lounging areas. 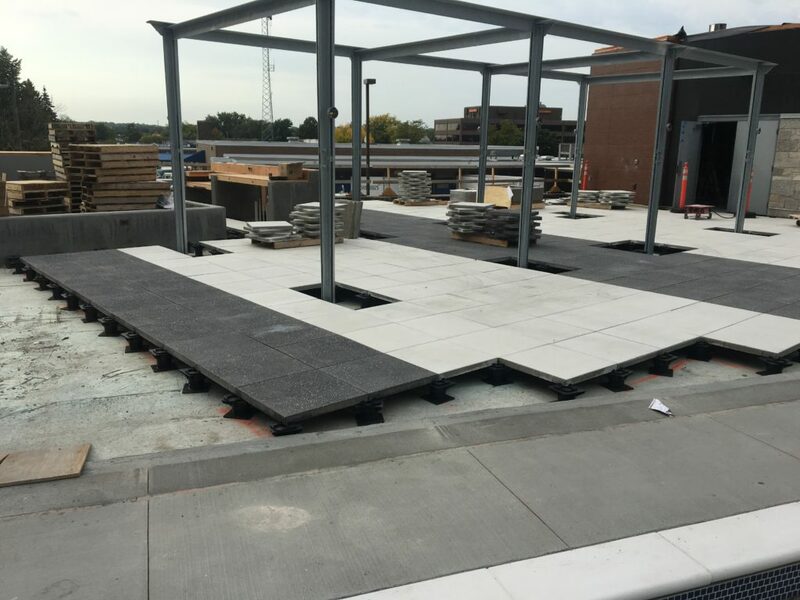 Structures was used to install the Wausau Tile Architectural Slabs on top of a pedestal system. The pedestal system allowed for utilities to run underneath the pavers, such as electrical, drainage, and irrigation. The pedestals also allowed Structures to make the final deck elevation level, while setting the pedestals on a pitched roof system. 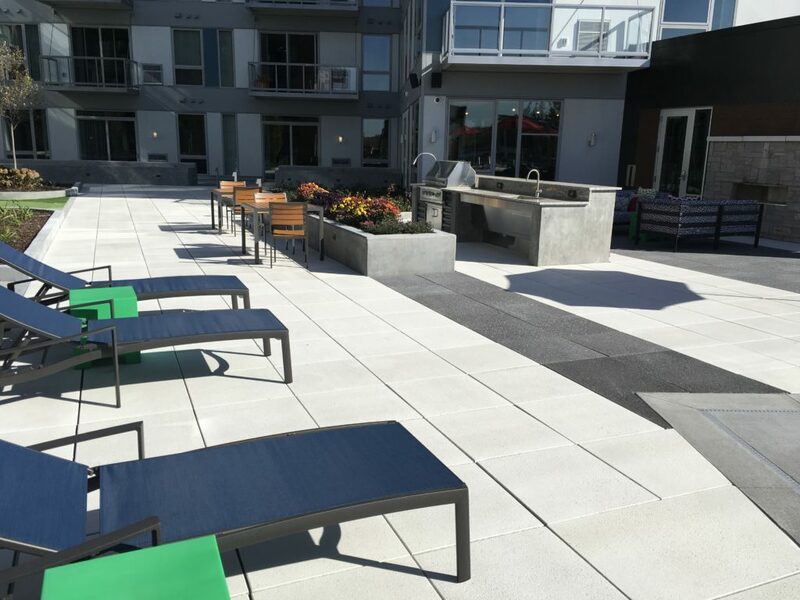 Each pedestal has a 3/16″ tab used to provide consistent open joints between the pavers for both aesthetics and easy water drainage off the deck into the roof drainage system. 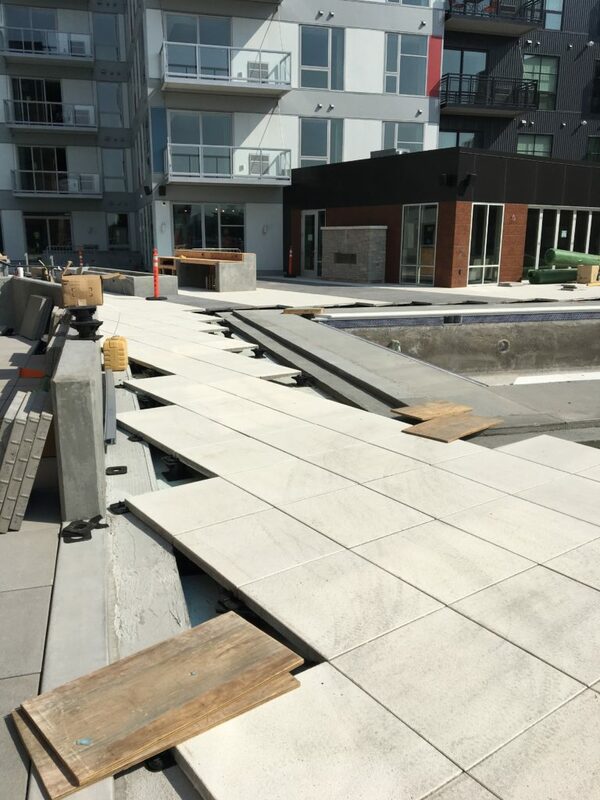 Skilled labor was used to lay in the 45 degree angle slabs off the pool deck. 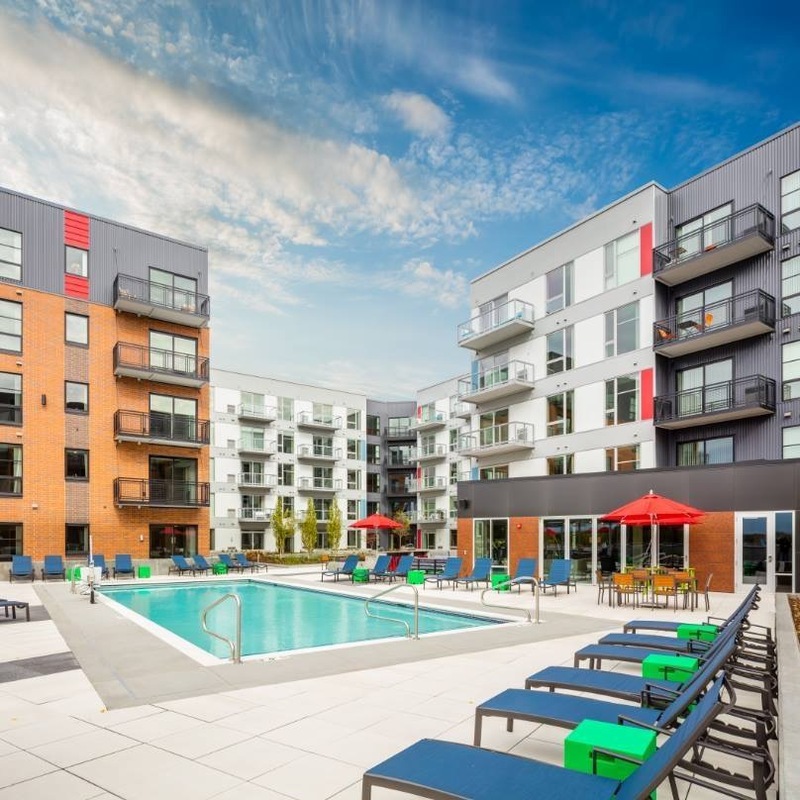 Larger slab units were purchased to ensure there were no small pieces surrounding the pool for structural stability. 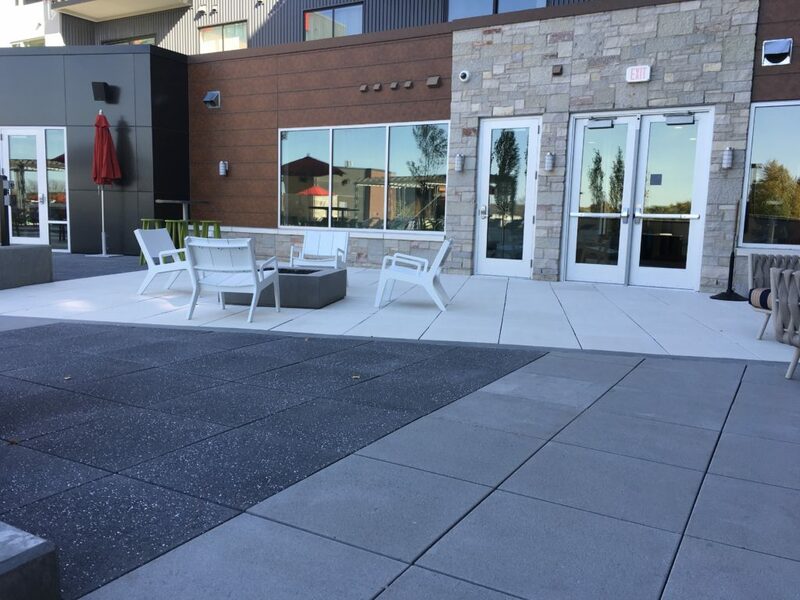 Three different colors were used to designate areas like private patios, walkways, and the pool area. 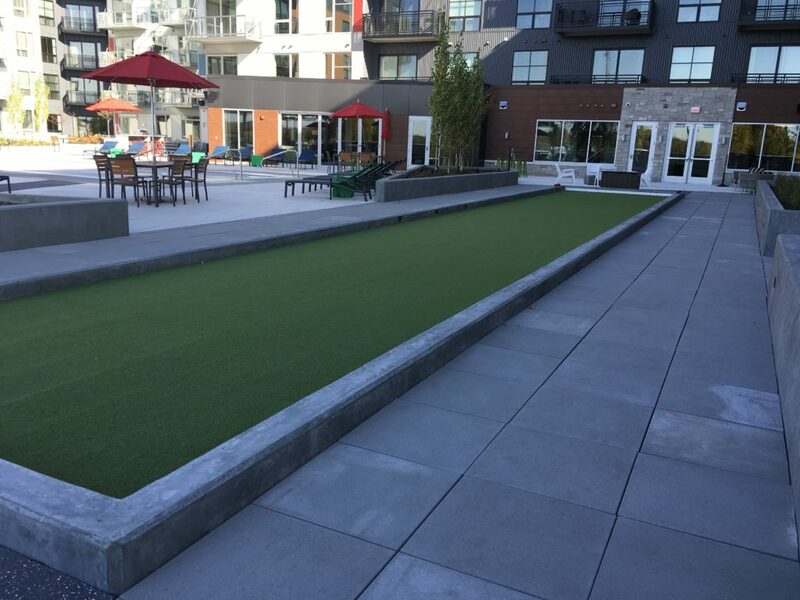 Slabs on pedestals were even set under the bocce ball artifical turf because of its long lasting durability and to ensure the court was leveled. In the end, the pedestal system was a successful solution to provide these residences with a useful outdoor amenity deck.